In clinical studies accuracy and consistency in scoring and administration of assessments are still problematic. Computerised cognitive assessment batteries such as CANTAB have demonstrated the utility of automating test administration and scoring. 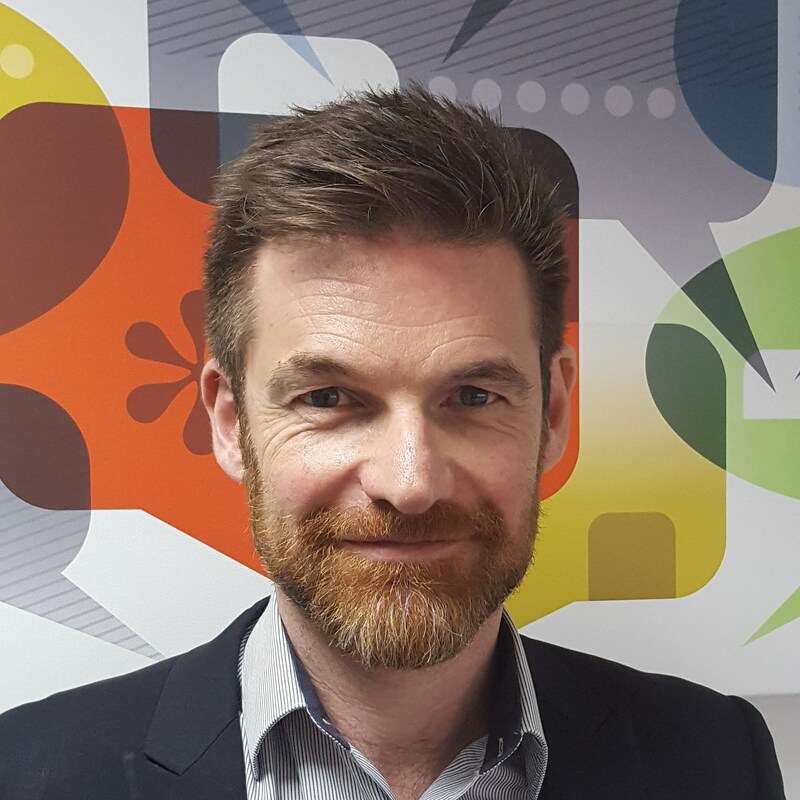 However, computerising verbal tests has not been feasible to date due to scoring errors introduced by the relatively poor performance of speech recognition technology. However, state-of-the-art speech recognition incorporating deep learning and other recent advances have prompted us to revisit prior feasibility assumptions. Minimising human errors and automating the scoring and administration of cognitive tests can help to improve the detection of patients in the prodromal phase of Alzheimer’s disease, enable high-frequency monitoring of changes in cognitive function and improve the statistical power of clinical trials. 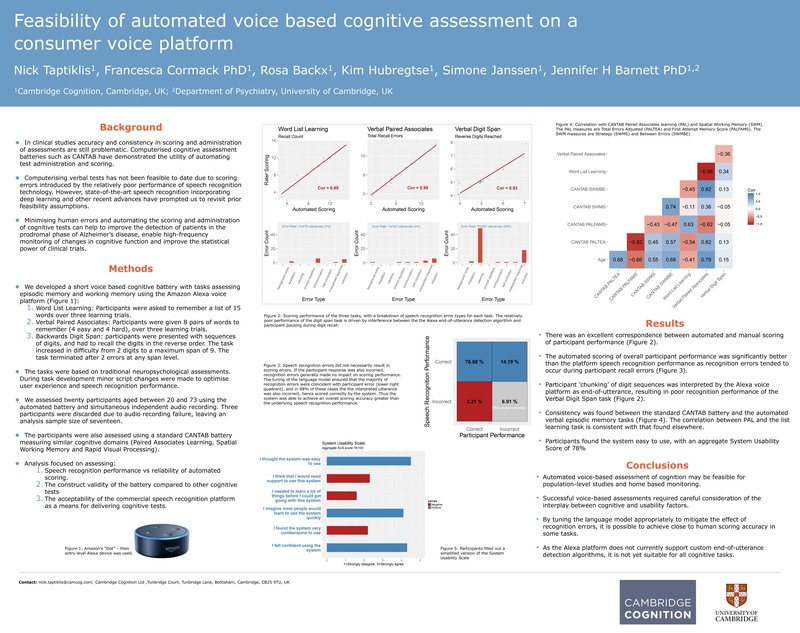 This poster explores the use of automated voice based cognitive assessments on consumber voice platforms.